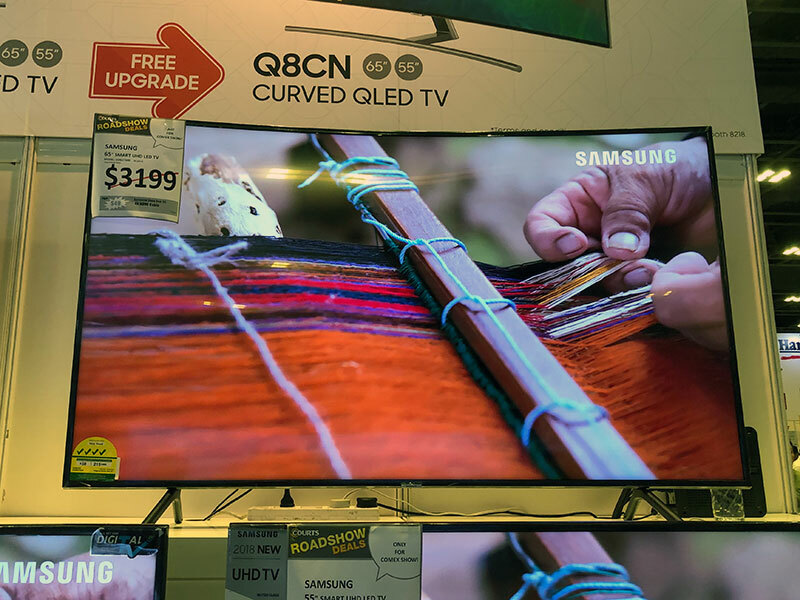 The Samsung Q8CN QLED TV is a high-end curved 4K smart TV. 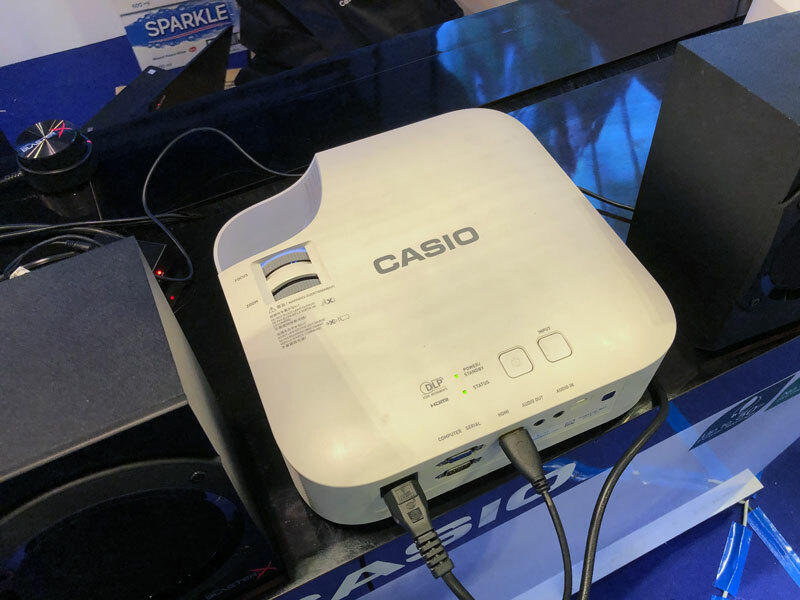 It offers 100% color volume, supports HDR10+, and comes with a One Invisible Connection that merges power and video signals into a single cable. The 65-inch model is going for $5,299 at the show, and 55-inch model is going for $3,799. Free gifts include 12 months Singtel Cast, up to $500 grocery vouchers, and wall mount. 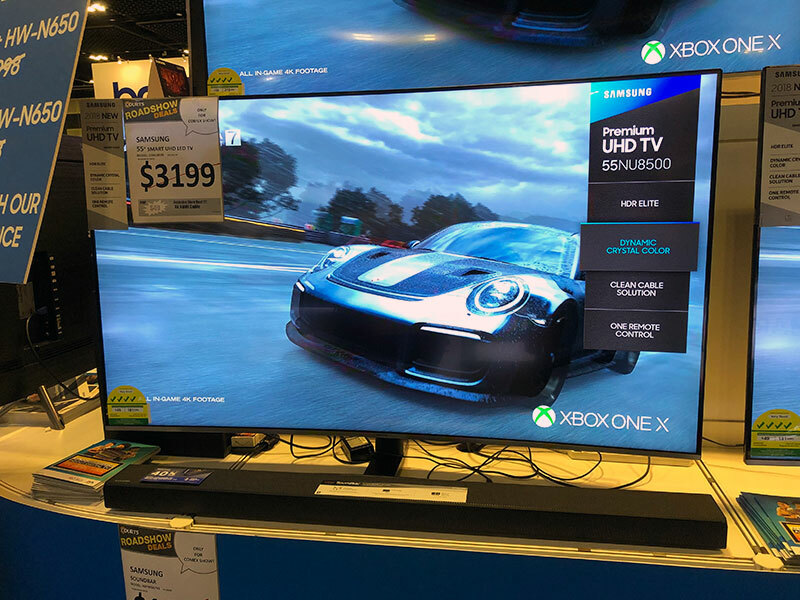 The NU8500 is a premium curved 4K UHD TV that supports HDR10+, Samsung’s Dynamic Crystal Color tech, and comes with a One Master Remote Control that lets you control other AV devices in addition to the TV. 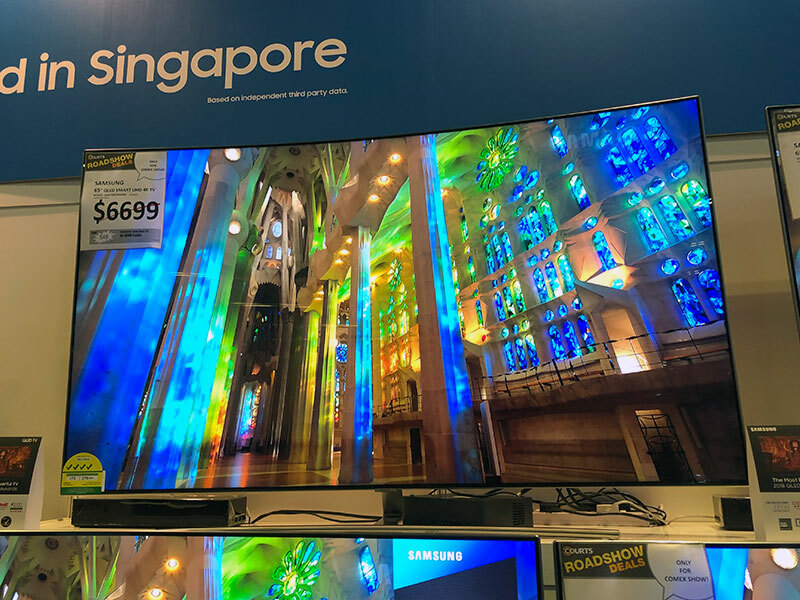 The 65-inch model is now going for $3,699, while the 55-inch model can be had for $2,299. 6 months of Singtel Cast and up to $300 shopping vouchers are some of the free gifts you’ll get if you buy the TVs here. The NU7300 is also a curved 4K TV that supports the new HDR10+ format. 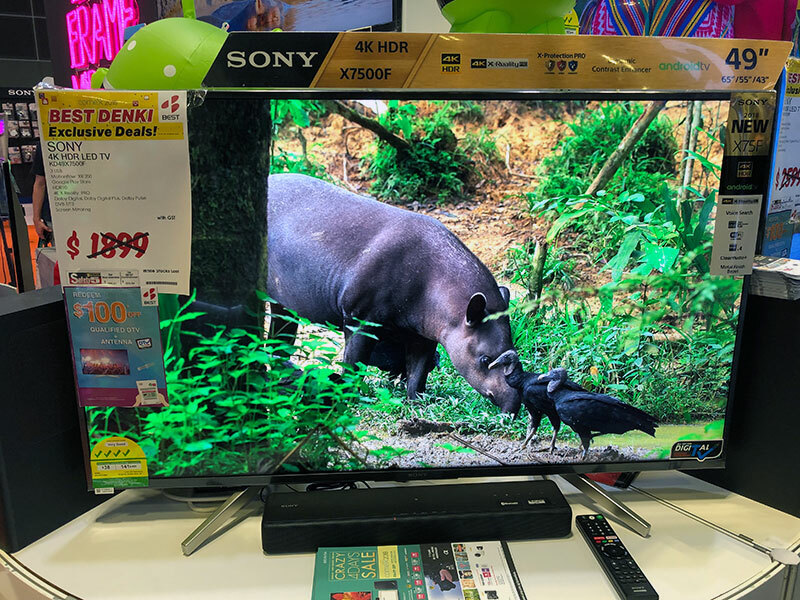 The 65-inch model is now going for $2,499, while the 55-inch model is priced at $1,599. Free gifts include up to $200 grocery vouchers and 3 months of Singtel Cast. The Bravia A8F is one of Sony’s latest 4K OLED TVs. It supports HDR, runs the Android TV platform, and features an Acoustic Surface technology in which the sound comes directly from the screen. 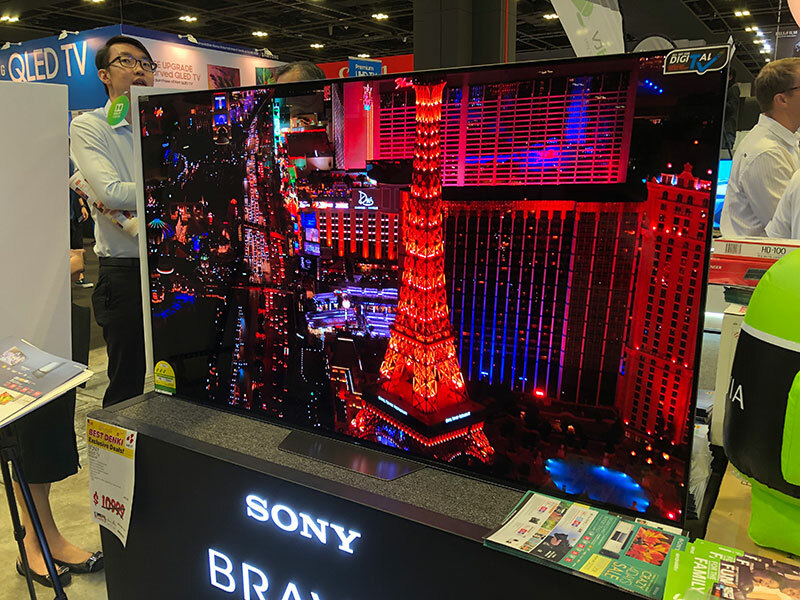 The 65-inch model is going for $7,299 at the show, while the 55-inch one is going for $4,799. Displays set are going for $6,000 and $4,400 respectively. The new X9000F 4K LCD-LED TV supports various HDR video formats, including HDR10, Hybrid Log-Gamma and Dolby Vision. It runs Android TV, which means you can easily find your favourite content with Voice Search and cast video, games, and apps from your mobile device to the big screen. The 55-inch model can be had for $2,799. You can go up to 85 inches for this series, but this will set up back in excess of $10,000. The Bravia X7500F is a 4K HDR UHD TV running the Android TV platform. It has a slim narrow frame, comes with built-in Chromecast for you to cast your favorite content from your personal device to the big screen, and features Sony’s S-Force Front Surround audio tech that aims to create an immersive soundstage. 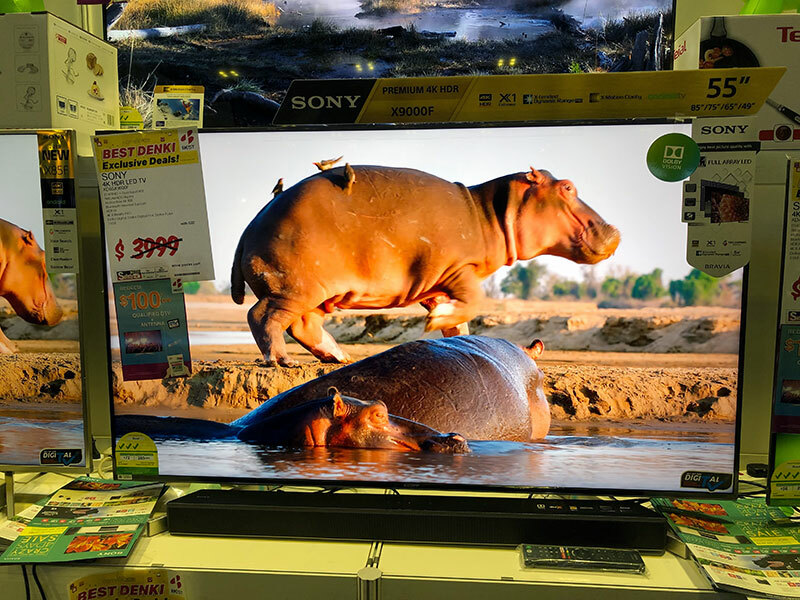 The 65-inch model can be had from the show at $2,899, which the smallest 43-inch model is going for $1200. 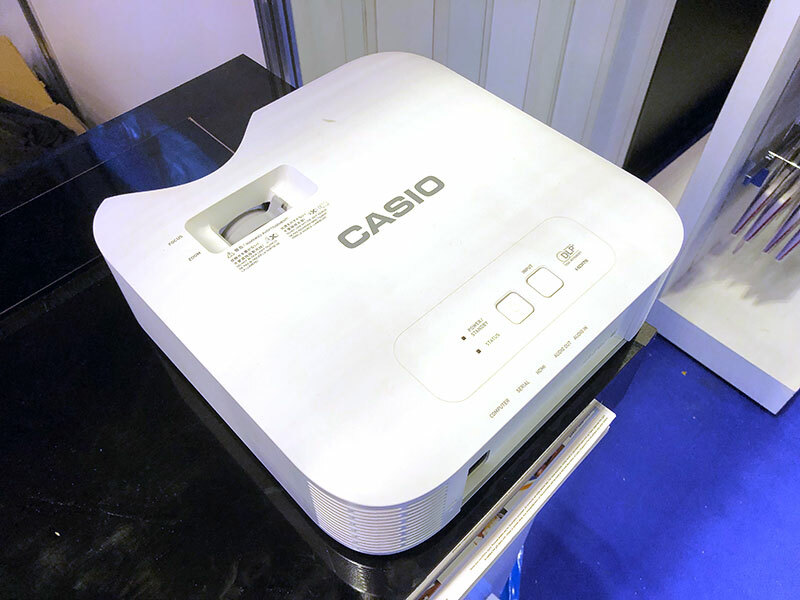 The Casio XJ-V2 is a lamp-free XGA (1,024 x 768) projector with a 20,000-hour light source lifespan, and boasts a brightness of 3,000 lumens. Going for $799, and you get free $10 CapitaVoucher, carry case, HDMI cable, and EZ Cast Wi-Fi display adapter. The 3,000-lumen XJ-V100W has a WXGA (1,280 x 800-pixel) resolution, 20,000:1 contrast ratio, 20,000-hour light lifespan, and a 1.5x optical zoom lens. Going for $959 (U.P: $1,299), with free gifts such as $10 CapitaVoucher, HDMI cable, and EZ Cast wireless display dongle. 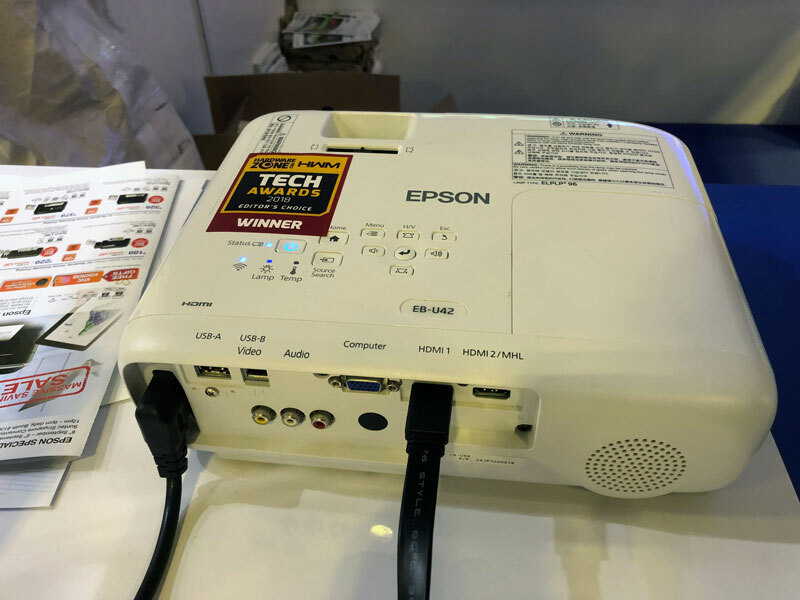 The Epson EH-TW5650 is a full HD home theater projector with a brightness rating for 2,500 lumens. It has built-in wireless and a 10W speaker, supports 3D and screen mirroring, and touts a lamp life up to 7,500 hours in Eco mode. Going for $1,499 (U.P: $1,788) and you get free $150 NTUC vouchers, two pairs of 3D glasses, a RAVPower fast wireless Qi charger, and a trolley. The 3,600-lumen EB-U42 is business projector with built-in wireless LAN and wireless mirroring functions. A WUXGA projector (1,920 x 1,200), it’s going for $1,299, and you get free gifts such as $80 NTUC vouchers, a RAVPower fast wireless Qi charger, soft carry case, and trolley. 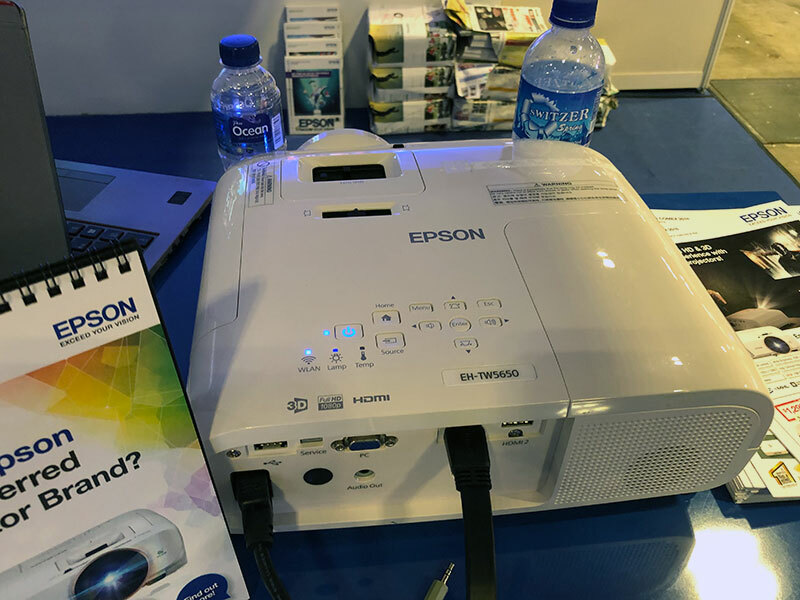 Any Epson projector purchase will also give you the chance to buy its ELPAP10 wireless dongle at $99 (U.P: $120).